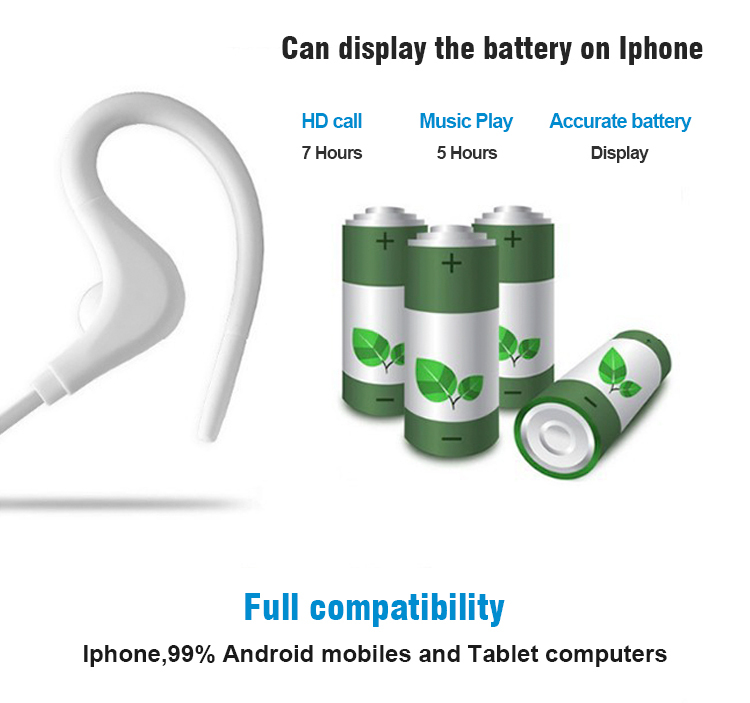 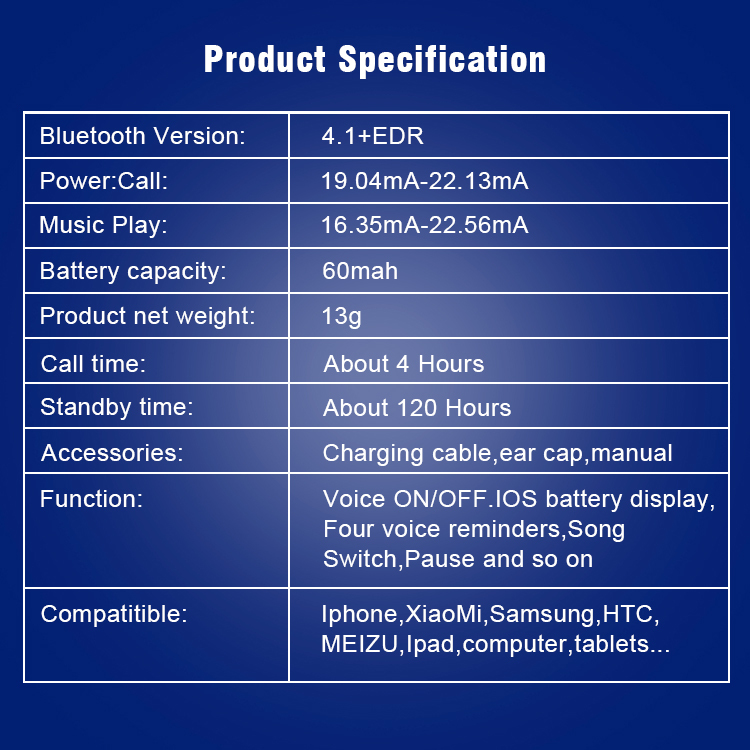 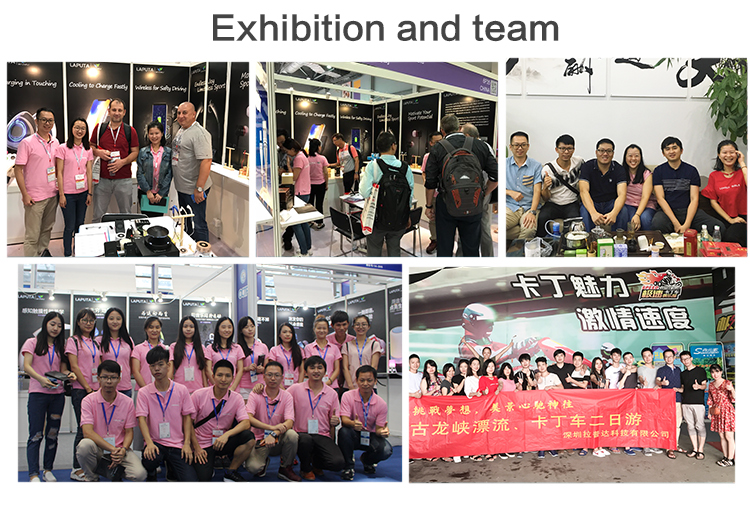 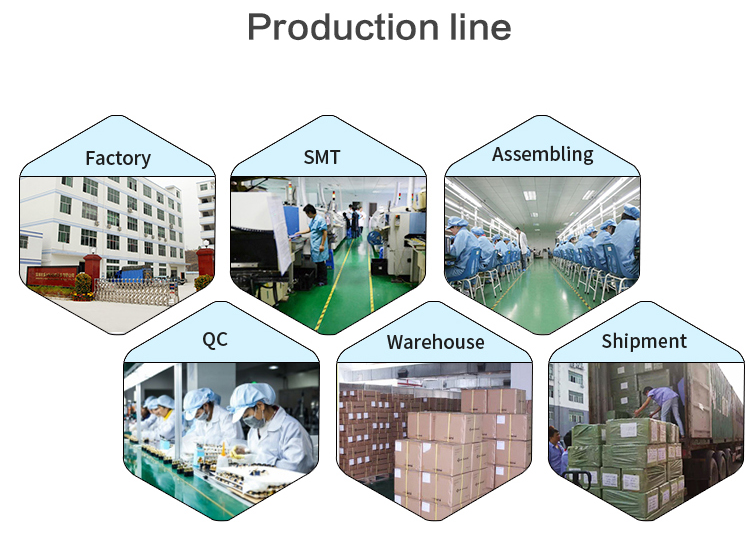 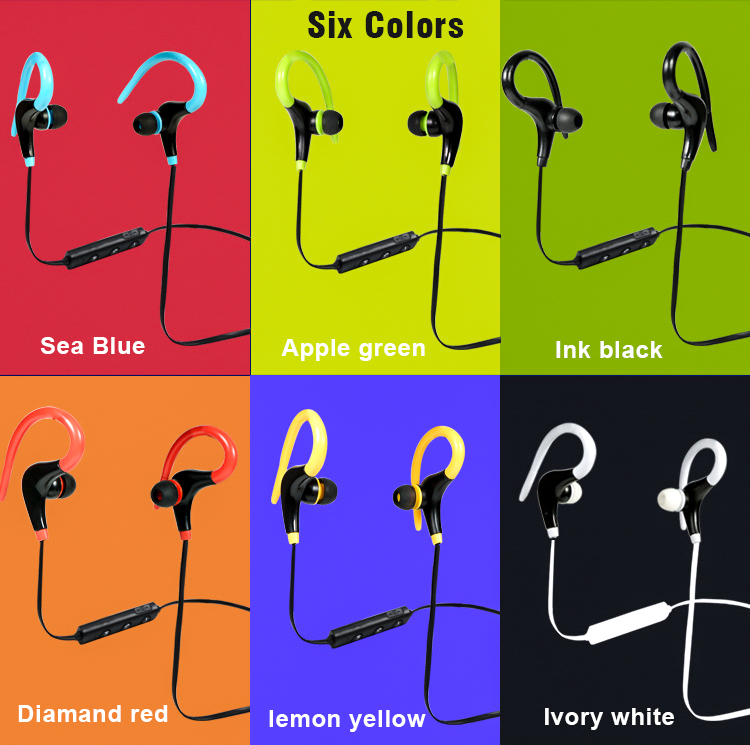 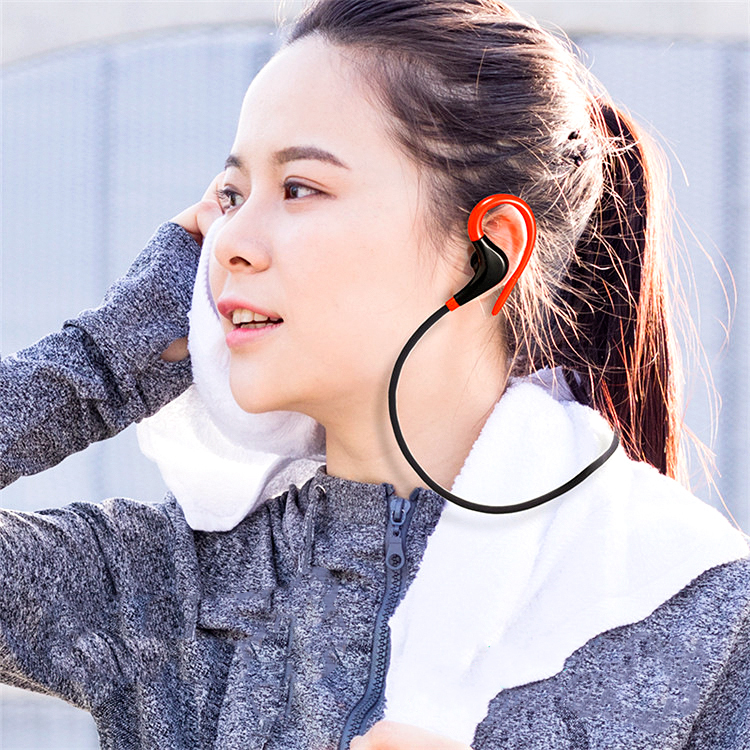 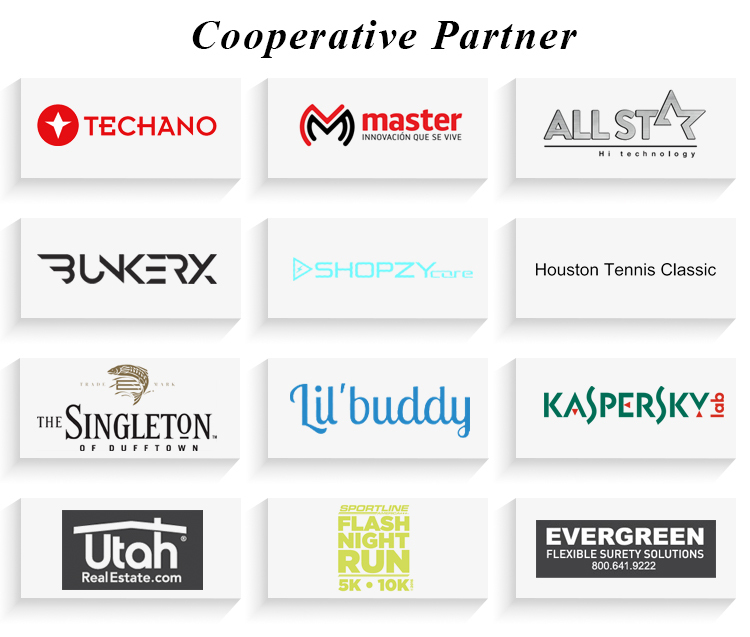 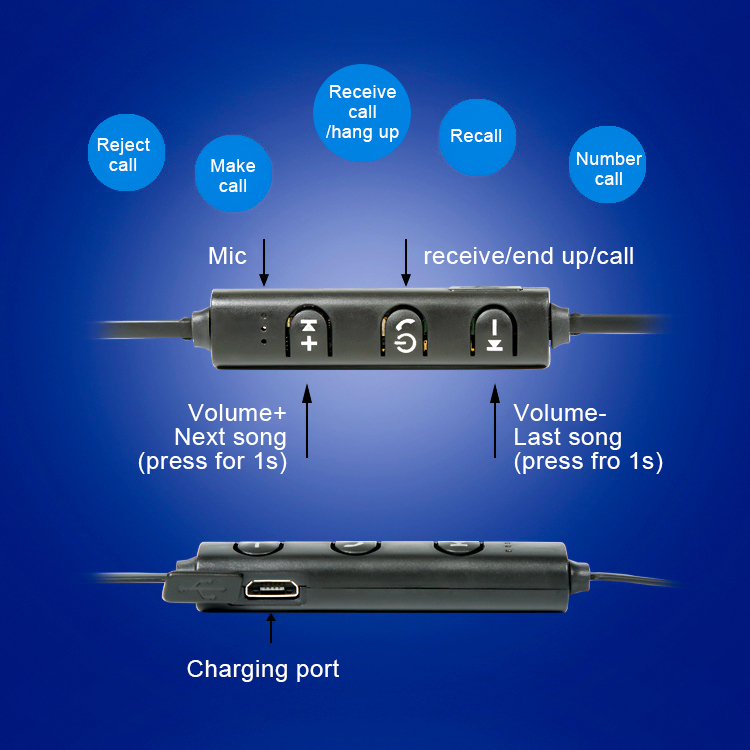 Why Choose BT-1 Bluetooth Earphone Headset ? 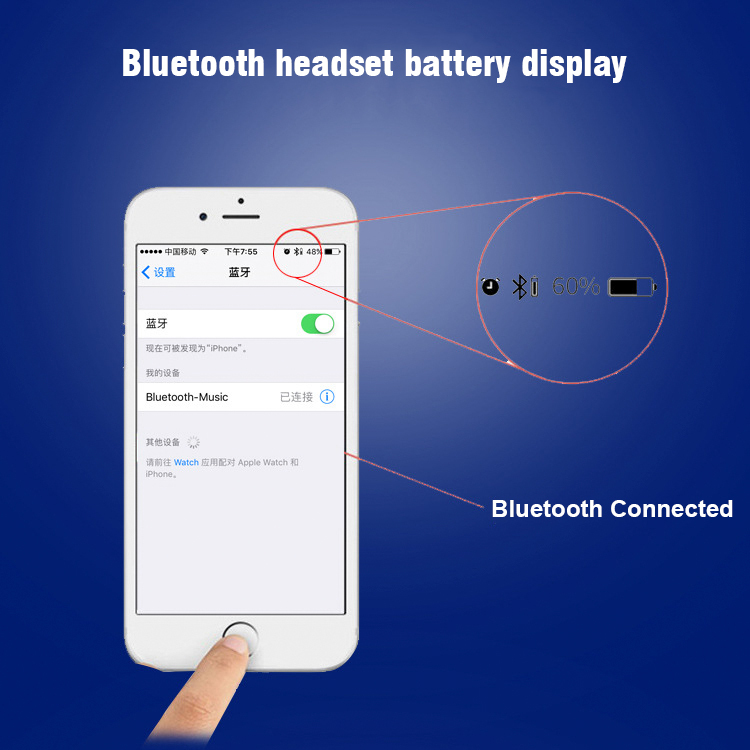 With the Bluetooth V4.1 EDR version, the BT-1 Bluetooth Headphone is newly upgraded. 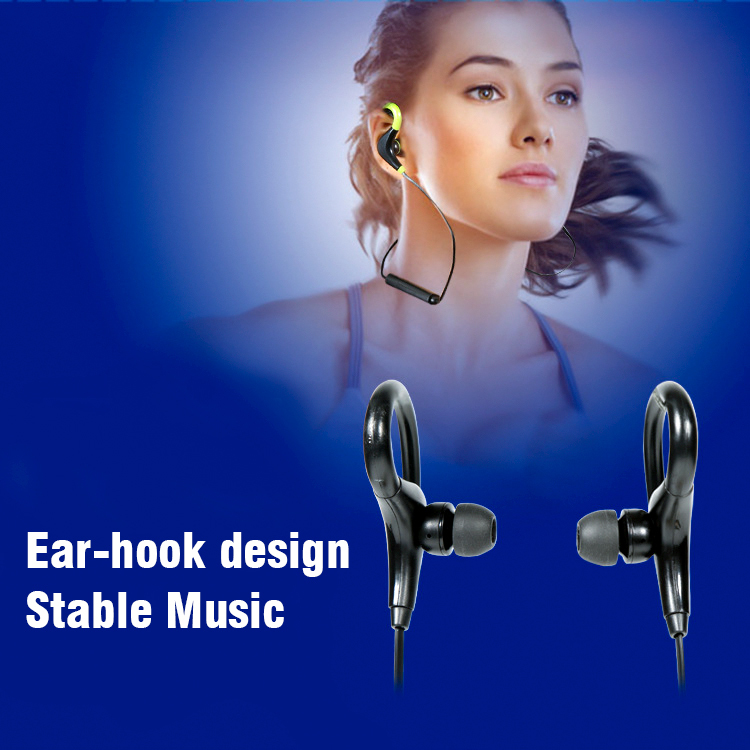 It uses a unique acoustic channel radiation protection technology and uses DSP noise reduction technology to bring you a new experience of music. 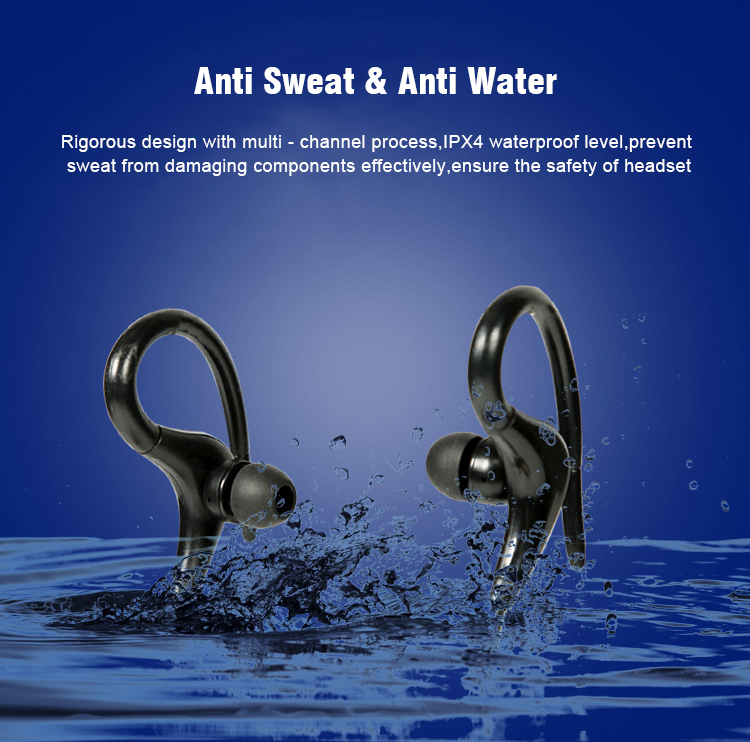 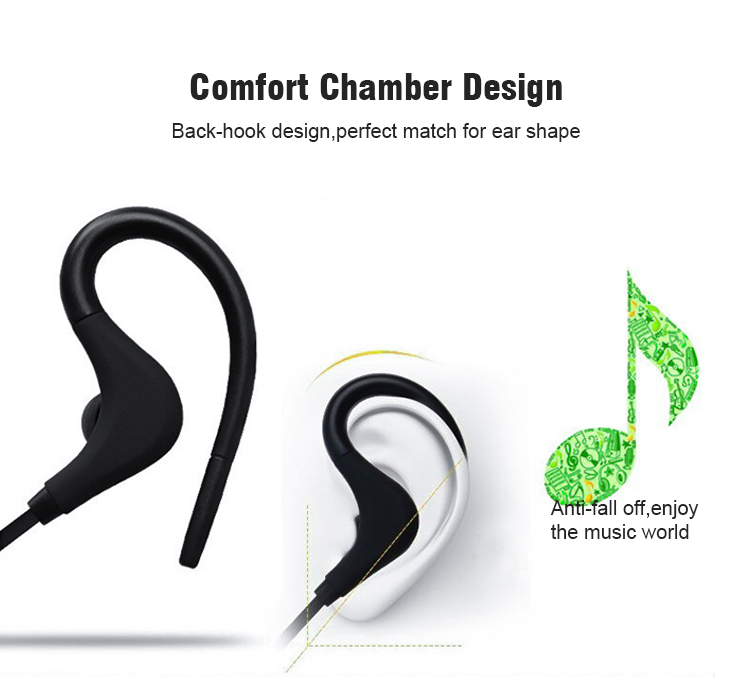 Send your inquiry to our good quality Mini bluetooth earphone headset IPX4 waterproof wireless headphone products.